Canadian National Teamer Lucas Van Berkel has signed a contract to play in Serie A2 – the 2nd tier of the Italian National League – for the 2017/2018 season with Manini Marconi. The 25-year old giant (he stands 208cm tall, or 6’10”) hits at 350cm (138 in.) and blocks at 326cm (128 in.). 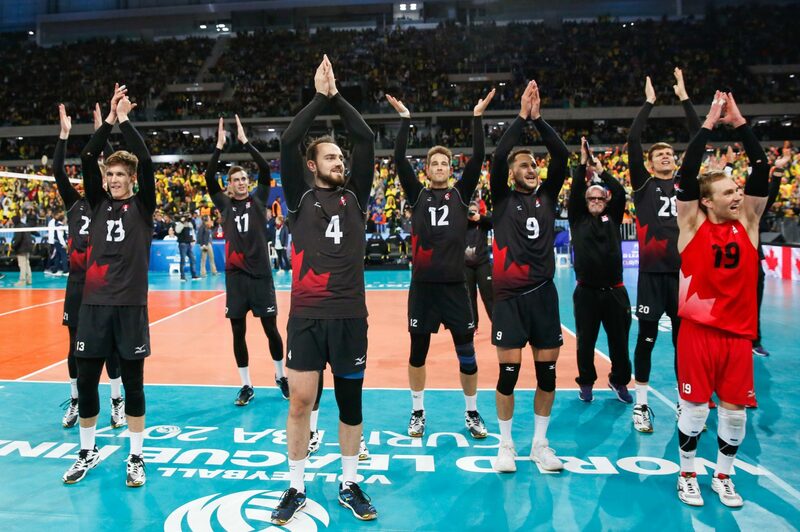 Van Berkel played in a reserve role for Canada as part of the team that made their historic, best-ever run to a bronze medal at the 2017 FIVB World League. He did see some game action, and while he didn’t record any blocks, he did score 3 spike points on 5 swings in the tournament. Van Berkel played collegiately at Trinity Western University in British Columbia, Canada from 2009-2014, which included two CIS (now U Sports) national titles in 2011 and 2012. In his senior season, he received the national Fair Play award for good sportsmanship at the championship tournament. After college, he immediately beagn his pro career that is entering its 4th year. his first season was with Linkopings VC in Sweden, followed by a year with the Czech side Pribam VB. Last year, he moved again to join Volley Amriswil in the Swiss League for a season, before now landing in Italy. Manini Marconi has been a fast-rising club in Italy, and are now playing in their 2nd season in Serie A2 UnipolSai. The squad has set its roster for the season, with Van Berkel being one of 4 middle blockers for the team. He along with Nicolo Katalan are newcomers for the team’s middle. The team finished just 7th in A2 last season with 254 blocks (2.37/set). Van Berkel will have the opportunity to start in his first season. The team’s top middle blocker from a year ago, Federico Bargi, ranked just 15th in the league in scoring among middle blockers, and he now has departed for another A2 team Emma Villas Siena. The two returning middle blockers, Matteo Zamagni and Marco Cubito, averaged .65 and .64 blocks/set respectively lost season, though Zamagni was the much more efficient hitter of the two – he was successful on 68.6% of his swings, which was the highest in A2 last season among the league’s qualifying middle blockers.